Description: To 104cm long. Average girth with a characteristic broad triangular head. Scales are heavily keeled, giving the body a rough appearance. Heat-sensing pits are located on the head between the nose and each eye. Body is brown, gray, olive, or greenish-yellow above and lighter below, with large dark blotches across the back and a white stripe on the sides. Similar Species: Green pit vipers (Cryptelytrops albolabris and Cryptelytrops macrops) are always green without the dark blotching. 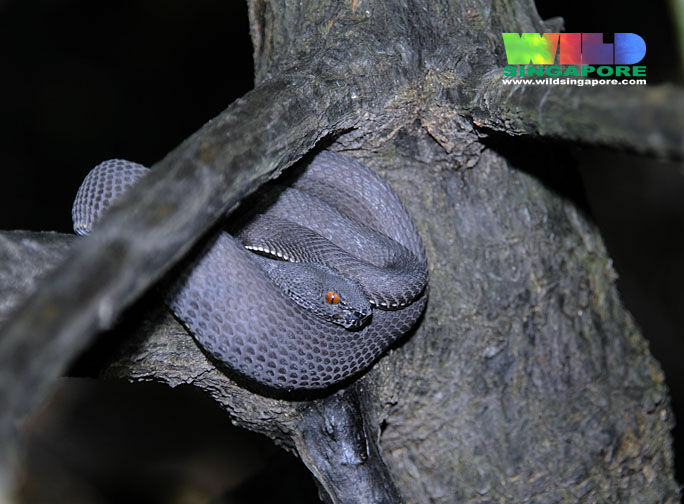 Russell’s Viper has smaller, more distinct blotches and is not found in mangrove forests. Many-spotted Cat Snake is more slender with a smaller head and has smaller, more distinct blotches. 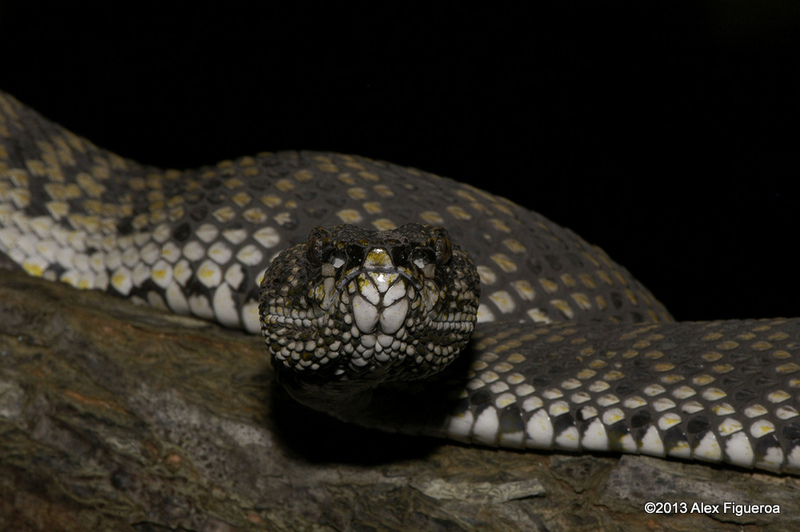 Asian Water Snakes (subfamily Homalopsinae) have smaller, non-triangular heads and are rarely found in trees. Habitat: Found in mangrove and other coastal forests. Occasionally found further inland along canals leading in from the ocean. Usually seen 1 to 2 meters off the ground or water in trees or bushes. Contribution to the ecosystem: Helps to control frog, lizard, and small mammal populations. Provides food for birds of prey and wading birds. 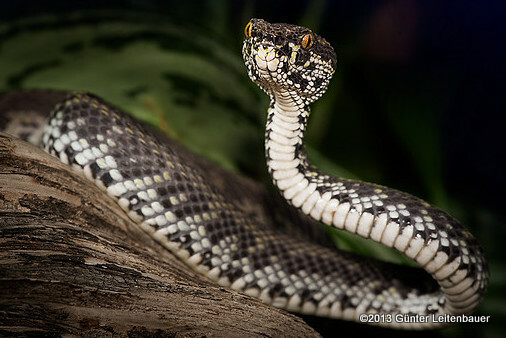 Danger to humans: The Mangrove Pit Viper can be an aggressive species with a dangerous bite. Bites can result in intense pain, swelling, necrosis of flesh, and in some cases severe systemic bleeding. 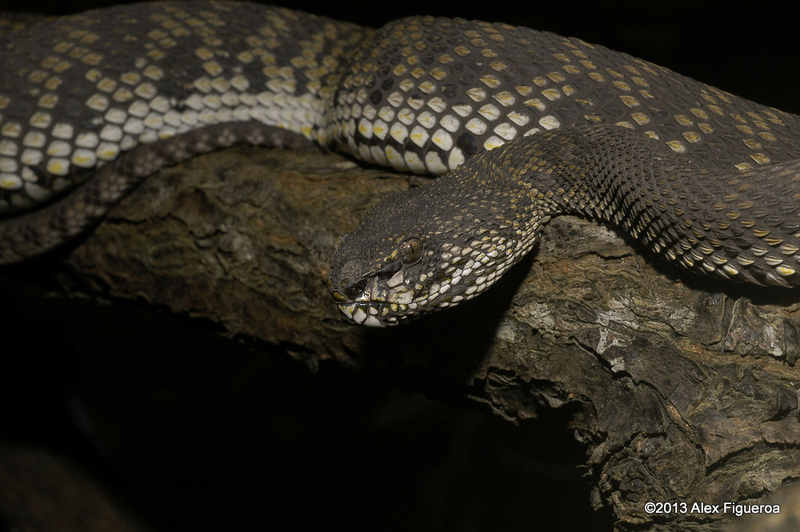 Fatalities are rare but the hemorrhagic nature of the venom can lead to serious medical problems. 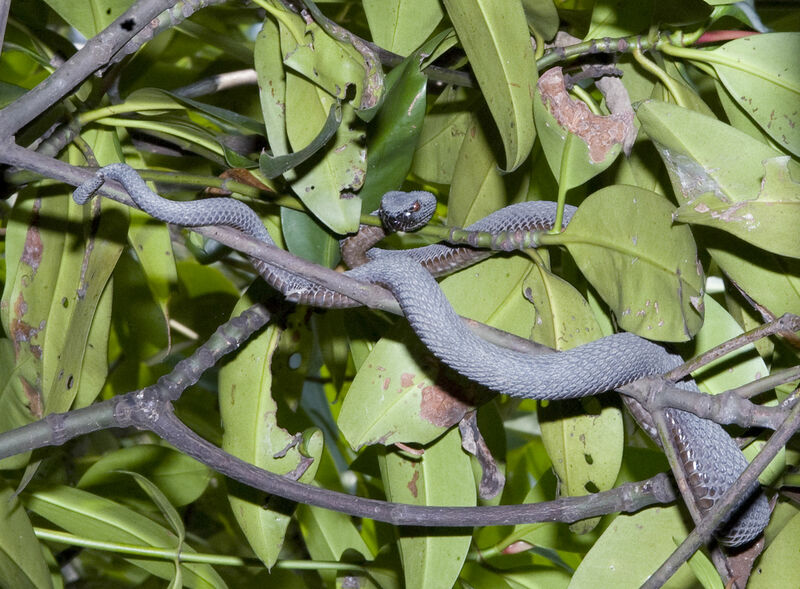 Anyone who is bitten by a pit viper should be taken to the hospital as quickly as possible. Conservation status and threats: No known conservation threats. 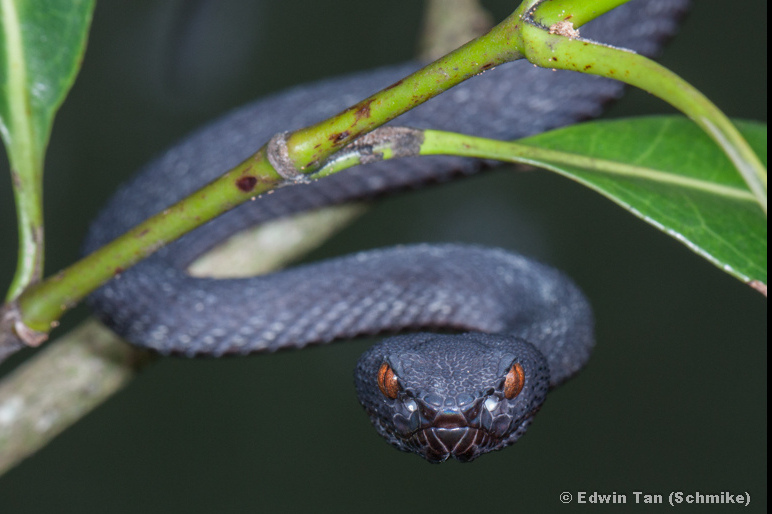 Interesting facts: Southeast Asian Pit Vipers are not as deadly as the local cobras, kraits, and true vipers, but still can do significant damage. 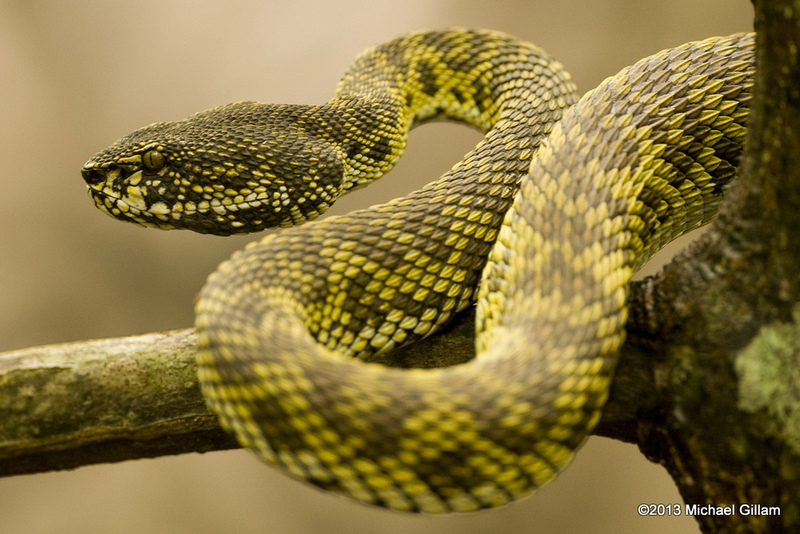 Thailand’s pit vipers have a “hemorrhagic” venom that causes pain, swelling, coagulopathy, and some tissue damage. In serious cases severe coagulopathy, internal bleeding, and necrosis of the flesh can develop. 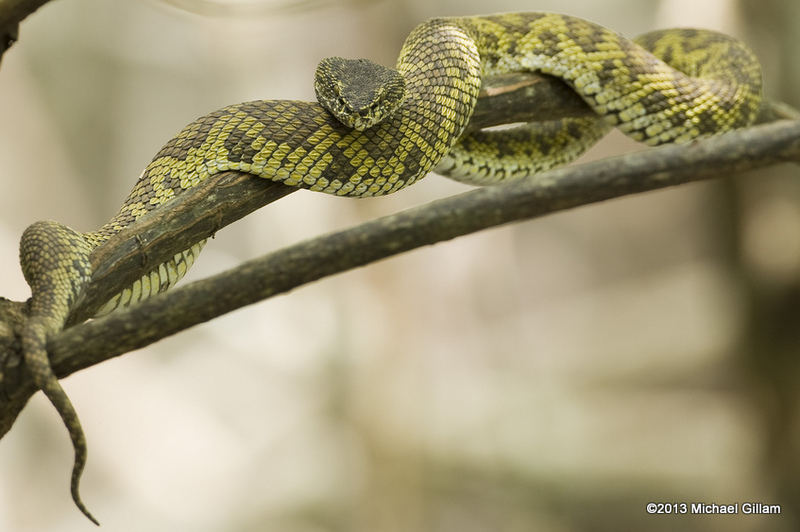 Pit Viper-specific antivenom is available and should be administered as soon as possible to relieve symptoms and decrease long-term effects. 1)	Keep the victim calm, having them lie down with the bite mark below the heart if possible. 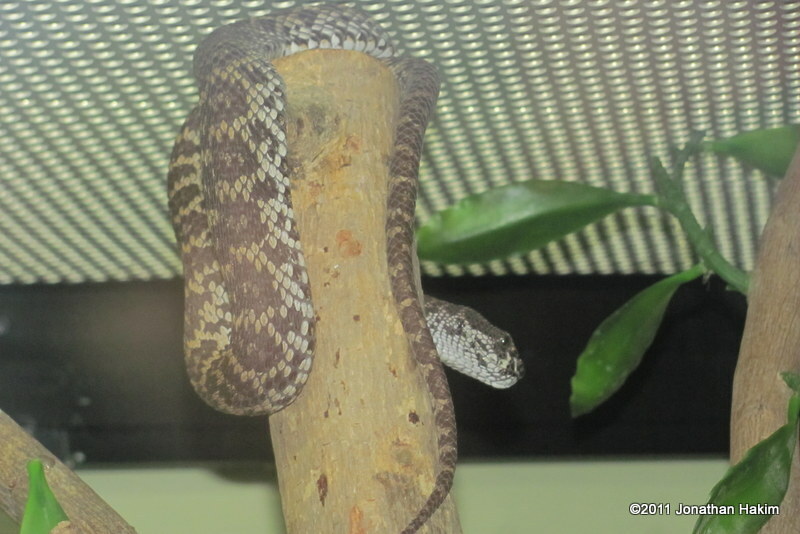 2)	Take a picture of the snake to confirm identification for the hospital. 3)	Get the victim to a hospital immediately where professional treatment can take place and antivenom can be given. 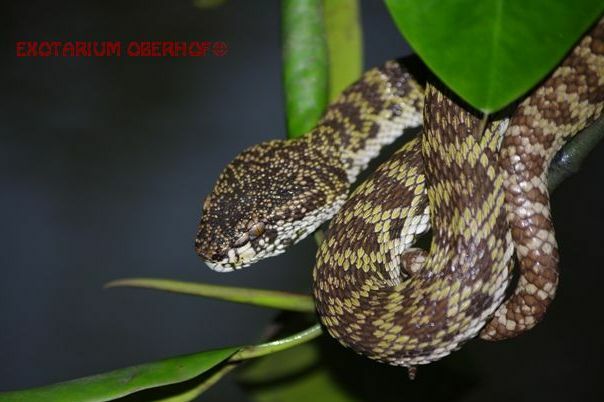 Biological properties of Trimeresurus purpureomaculatus (shore pit viper) venom and its fractions.